SoundRoots World Music & Global Culture: Monday's mp3: Are You Gonna Finnish That? Monday's mp3: Are You Gonna Finnish That? Okay, bad pun. But great music from a duo + 1 that will be appearing live this week on my radio show Spin The Globe (website / facebook). Consider this your only preview/warning. We're talking Finnish strings here, from the duo Kaivama (fiddler Sara Pajunen and guitarist/harmoniumist/pianist/banjoist Jonathan Rundman) along with their fiddler pal Arto Järvelä. 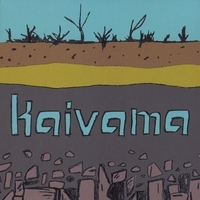 Kaivama's recently released, self-titled album is their first, while Järvelä has been making music since 1983; his discography includes work with Varttina, Maria Kalaniemi, La Bottine Souriante, JPP, even local (Seattle) folks Ruthie Dornfeld & John Miller, as well as a heap of Finnish bands I'm not familiar with. While I'm looking forward to hearing and seeing the trio live, the music at hand today is from Kaivama's album, a rich assortment of stringed sounds ranging from schottische to polka to waltz, many rooted in western Finland, though several tracks are Kaivama originals. They play beautifully together (and Arto joins in on a couple of tracks) and while I'm not ready to declare Finnish fiddle music the next big thing in the USA, the joyous, skilled work Finnish-American performers is certainly a great ambassador for string sounds from the chilly north.